Rock climbing is one of the fascinating extreme sports people practice these days. Rock climbing refers to the ascend to the top of a rock or a mountain. The ascend is performed both with and without equipment, which leads us to the categorization of rock climbing. Two types of rock climbing are free climbing and aid climbing. 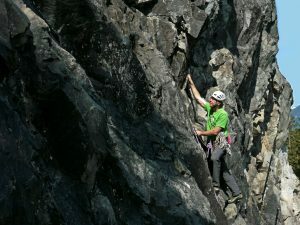 Aid climbing is a climbing style where the climber gets help from ropes, belayers and other techniques to alleviate the anguish that can emerge when climbing a treacherous mountain. In opposition to it stands the free climbing style we shall discuss in more detail. Free climbing is a form of rock climbing, and from its name, we can conclude that no aiding equipment is used. Free climbing has its sub-styles in bouldering and solo climbing. Bouldering is a style of climbing without aids, but with the help of bouldering pads that serve to cushion a possible fall. Solo climbing, on the other hand, requires no support from either the ropes, belays or any other thing. The climber relies solely on his own ability to ascend and descend from the rock. We can further divide free climbing into one that is done indoors and the other done outdoors. Indoor climbing is a safe way of practicing climbing through footholds and handholds that are marked in bright colors. You usually start with a route, and each path marks a distinct level of difficulty. Bouldering is one of the premier examples of that style. It might be reasonable to begin in a controlled environment and move your way up to the outdoor climbing where it can be a bit more dangerous. Much of the same equipment is used in both ways, but the landing is not as equally soft. 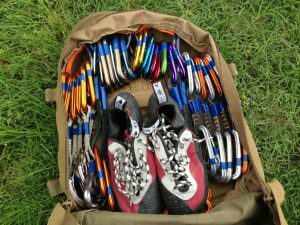 When it comes to gear, it is a significant part of free climbing. 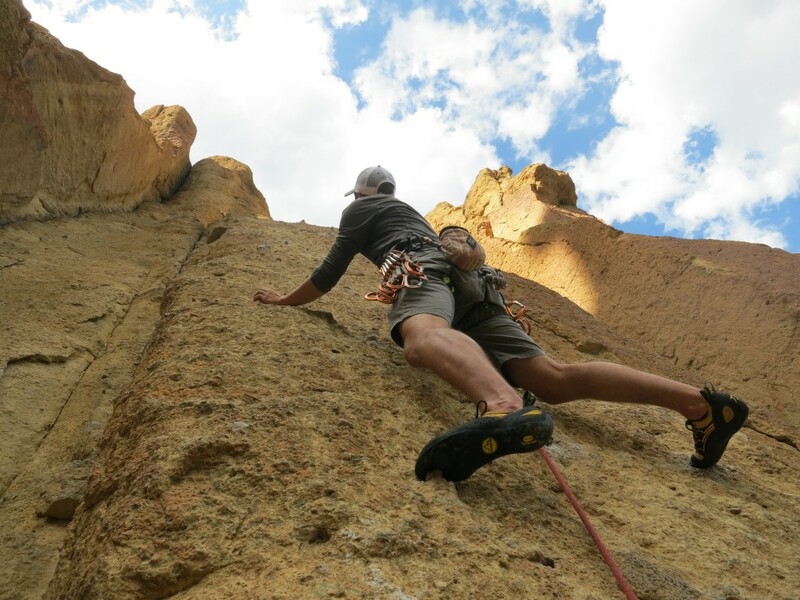 Your basic arsenal must include climbing shoes which are specifically designed for climbing. Apart from shoes, the rope is a mandatory item in climbing. The core of the rope is in charge of its strength, whereas the sheath stands for the protection of the core. A belay device is a mechanical friction device that is used to control the rope in case of a fall. Namely, it stops the rope in place and thus prevents the climber from falling. The climbers are secured with a harness that is in turn attached to the rope. Harness encompasses leg loops and a waist belt. A helmet is also a must. Having all these will make you good to go. If you have the will and a taste for adventure, you will enjoy free climbing and relish the adrenaline it provides.